WHAT ARE THE DATES OF THE NEXT HOLIDAYS? I AM NOT SURE WHO I CAN CONTACT FOR A SPECIFIC QUESTION? WHAT IS THE STUDENT PORTAL? For any Information Request, you will have to complete an ‘Information Request Form’ through the section Student Portal of our website: https://www.insightacademy.edu.au/information-request-form/ You will be able to choose the topic and type your email that will be sent directly to the right person for faster process. CAN I BORROW A LAPTOP? HOW CAN I LOG IN? While logging in, make sure Wi-Fi is activated first. If the following icon appears connect the Wi-Fi to ‘InsightAcademyStudents’ When bringing it back before leaving, you will have to sign the return section of the registration form. CAN I PRINT A DOCUMENT? Yes, you have to bring your student ID card at the reception and borrow a laptop to print your document. The settings of the Printer are automatic: black and white and double sided only. WHICH ROOM IS MY CLASS IN TODAY? Every day, the classroom distribution is posted at the entrance of Insight Academy level, facing the stairs. That way you can check quickly your classroom according to your group class. HOW AND WHERE CAN I GET MY STUDENT ID CARD? During the first week of your course, Insight crew will be taking individual pictures to issue your student ID card. Once it’s ready, you will receive an email to collect it at the reception. Our lovely Finance team will be happy to help you with any concerns. You can contact them by email at accounts@insightacademy.edu.au or by phone on 03 8609 7431. If you wish to meet the Accountant, please contact them to book an appointment during opening hours, Monday to Friday 9:00am to 5:00pm. I CAN’T FIND MY CANVAS LOGGING DETAILS? HOW CAN I LOG IN ONCE I RECEIVE THE EMAIL? An email will be sent prior to the Orientation Day containing a ‘course invitation’. Make sure that you check your Spam/Junk mailbox. If you cannot find any email related to CANVAS, please send an email to tech@insightacademy.edu.au to request another course invitation email. Once received, click on ‘get started’ _ ‘create an account’ _ create your own password. You will have to ‘accept’ the course invitation to access your learning material. During Orientation Day, the Academic team will explain how to use the platform. MY RESIDENTIAL ADDRESS/PHONE NUMBER/EMERGENCY CONTACT DETAILS HAS CHANGED; DO I NEED TO UPDATE ANYTHING WITH THE SCHOOL? Yes, it is one of your visa conditions to update your education provider when changing your contact details within 7 days after any changes. Please send an email to studentservices@insightacademy.edu.au or let the person at the reception know in order to update your profile. MY VISA GOT APPROVED YAY! DO YOU I HAVE ANYTHING TO DO? Yes congratulations! Anytime you have a change in your visa status (expired, bridging visa, granted, refused) it is your responsibility to provide the Immigration notification to your education provider. Please send your notification by email to studentservices@insightacademy.edu.au with a copy of your OSHC (Overseas Student Health Cover) contract. HOW DO I REGISTER FOR AN EVENT/MASTERCLASS? Once you see an event you want to attend click on: Select Ticket then click on Enter promotional code and enter the special student code mentioned in Canvas. Then just select a ticket and click checkout. This will give you free access to the event. Please keep in mind that this code is for Insight Academy students only. 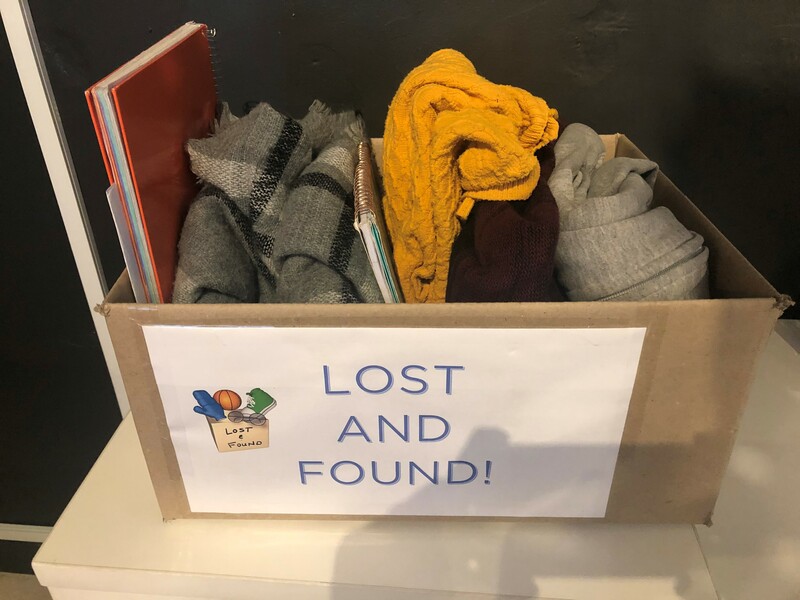 All belonging found at Insight Academy are directly brought to the ‘Lost and Found Box’, located at the Reception. 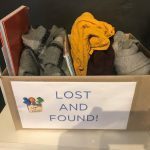 If you’ve lost anything, please check this box. Kindly note, the box will be emptied at the beginning of every new block. WHAT IS THE LAST DAY OF MY COURSE? The last day of your course is the date appearing on your CoE (Confirmation of Enrolment) or your Letter of offer, signed during your application process with Insight Academy.